Custom made - 2 Blade Canoe. Simulated Pearl Handle w/SS Bolster. 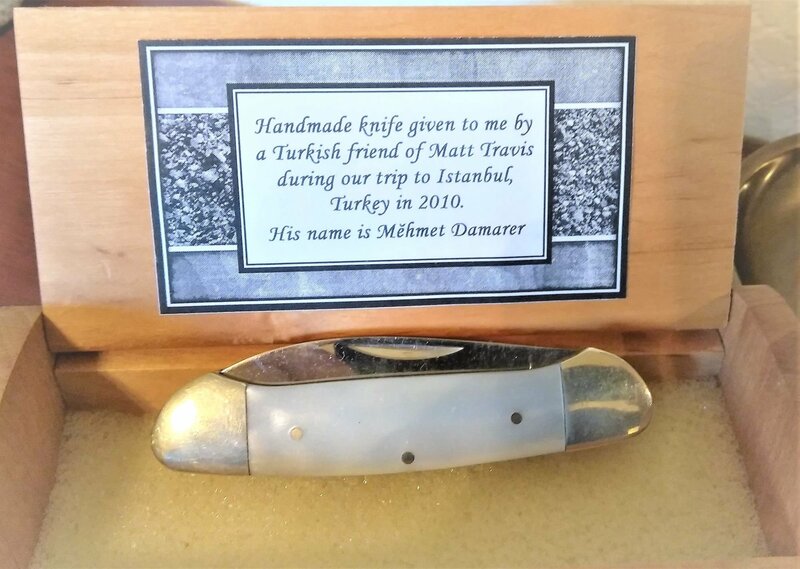 Given to me during a trip to Turkey by a Turkish friend in 2010, Mehemt Damarer. One of a kind.